Although Cuppaidge has lived in New York for more than forty years, she has come to the realisation that her abstract work is routed in her Australian experience – she believes the Australian landscape is in her system. 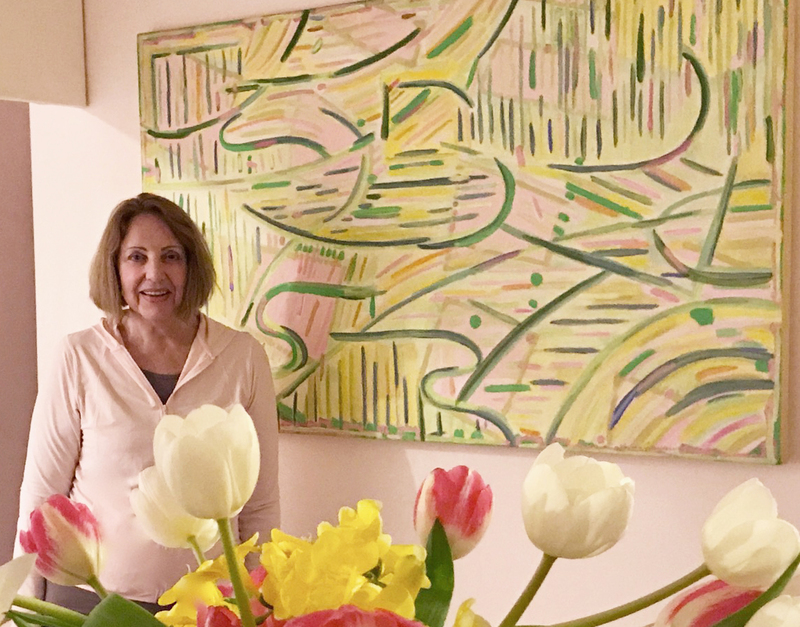 Cuppaidge’s exhibiting career has traversed the American, Canadian and Australian art scenes, with thirty seven solo exhibitions and numerous public commissions and awards, including a Guggenheim Fellowship in 1976. Virginia has exhibited in USA and Australia. Galleries include: Stella Downer Fine Art – Sydney, Rosenberg + Kaufman Fine Arts – New York, Robin Gibson Gallery – Sydney, Gallery A – Sydney, AM Sachs Gallery – New York, Bloomfield Galleries – Sydney, Susan Caldwell Gallery – New York. 1973 First solo show New York City at AM Sachs NY. Virginia has had a lively teaching career and was adjunct associate professor of art at C.U.N.Y, Borough of Manhattan Community College, and Bronx Community College, 1992–2008. Since 2017, Virginia lives in Australia, and is currently writing "The New York Stories". An account of arriving in New York in 1969, meeting up with Australian sculptor Clement Meadmore, adapting to the huge metropolis, working at the Max Hutchinson Gallery in SoHo, and surviving as an artist in New York City for five decades. Born: 1943, Brisbane, Queensland, Australia. Home: Lived in Australia since 2017. Ridge & Valley Conservancy “Art-Environment” Johnsonburg, NJ. Bronx Community College, New York. Stella Downer Fine Art Sydney. National Gallery of Victoria, Joan & Peter Clemenger Triennial. Wagner Gallery, Sydney “Four Australian Painters Living in the U.S.A.
Organization of Independent Artists, Brooklyn Courthouse, NYC.